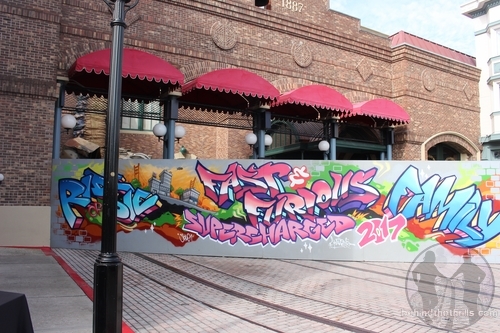 Behind The Thrills | Universal Orlando continues huge construction rush with new hotel, waterpark, Hello Kitty, Jimmy Fallon AND MORE! 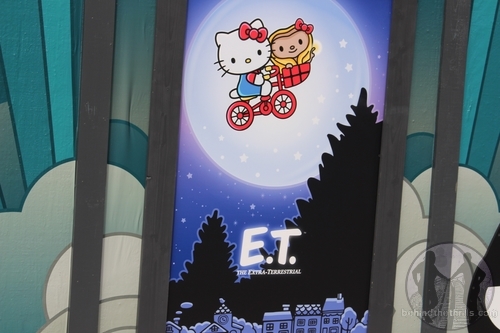 Universal Orlando continues huge construction rush with new hotel, waterpark, Hello Kitty, Jimmy Fallon AND MORE! 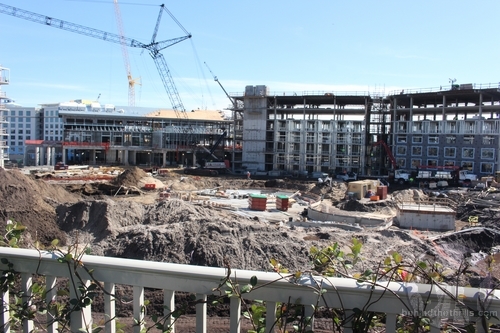 Universal Orlando continues huge construction rush with new hotel, waterpark, Hello Kitty, Jimmy Fallon AND MORE! 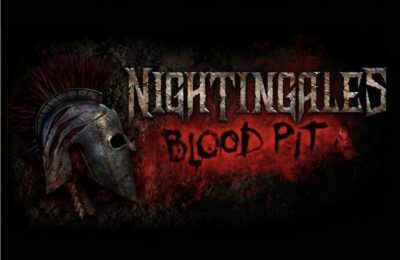 Just when you think Universal Orlando will take a break from construction, they pull more up and keep new attractions rolling out. The resort is getting ready for a huge summer with three massive projects, several smaller ones…and that’s not counting what’s coming in 2017! We’ll take you for a walk through most of the huge construction projects, and show you some really cool stuff happening at the park! 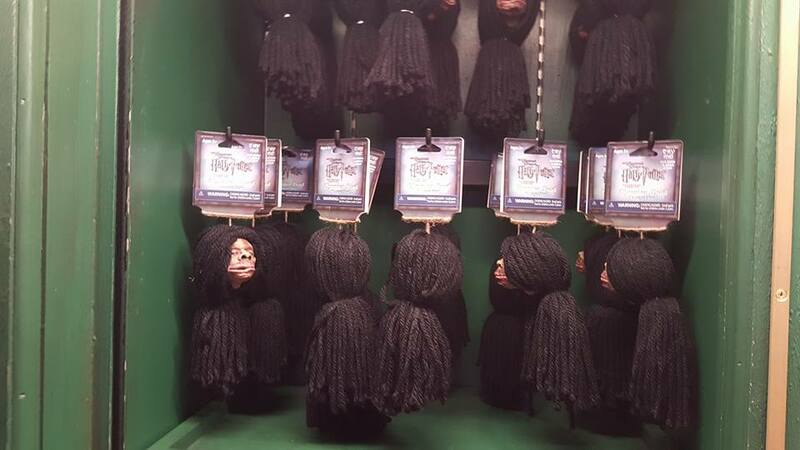 Let’s start out with three awesome new pieces of Harry Potter Merchandise. 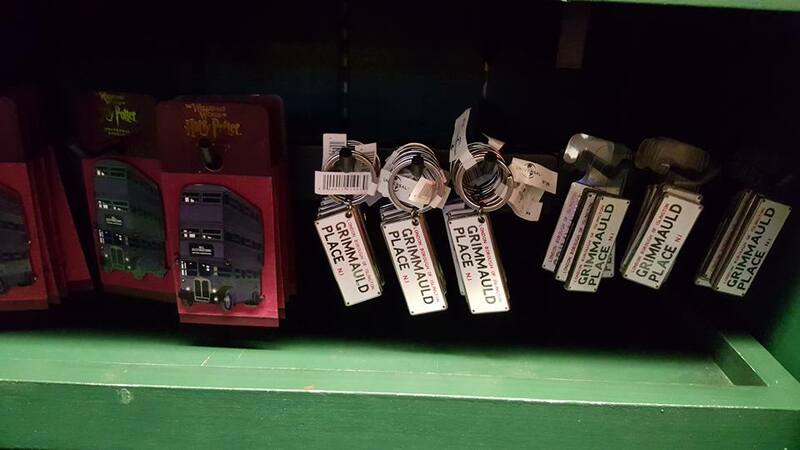 The new merchandise is just outside of Diagon Alley in the streets of London, in a cart as you pass by. 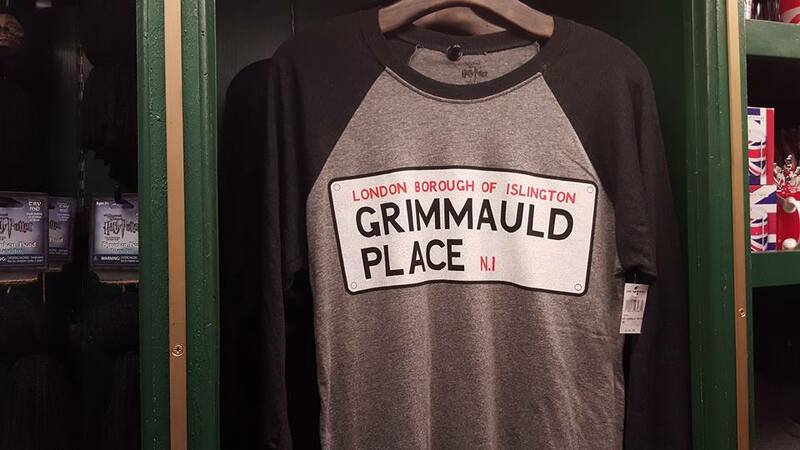 The new stuff includes some awesome Grimmauld Place shirts, keychains, and of course a Shrunken head to put in your own Knight Bus. He talks, he says phrases from the movie, and he has a handy cord from hanging just like in the movie! 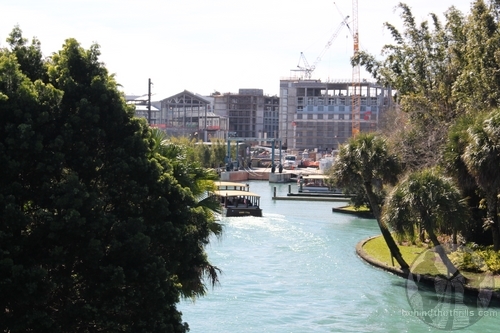 Video-Construction walkthrough at Universal Orlando! 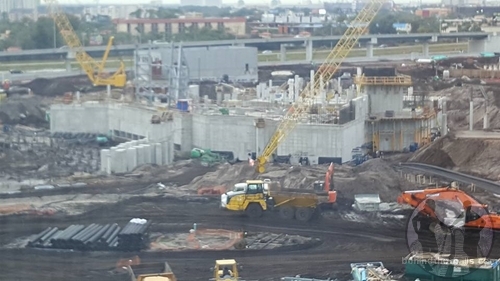 Construction on Volcano Bay is moving along at a break neck pace. 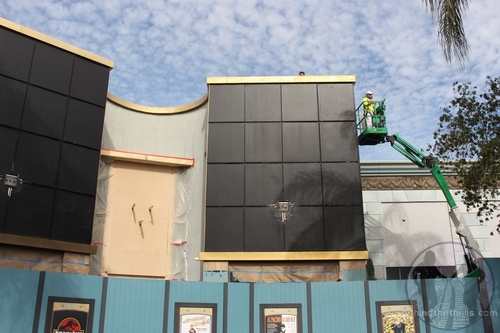 The structures for many of the parks features are going up, and are taking form. If you look closely, you can see the beginning structure of what we think is a Volcano. The park is allegedly going to feature a 200 foot tall volcano, with a slide that goes right through the middle of it. 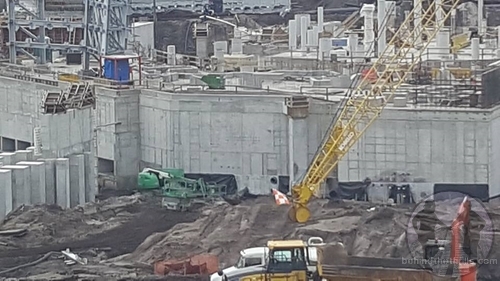 Slide pieces are already on site at Wet n Wild, just a few miles away. That park will be closing at the end of this year, and will make room for new properties, like hotels and entertainment venues. The waterpark will also feature a pathway that goes under the road, that will lead guests from the new hotel, and the parking hub. 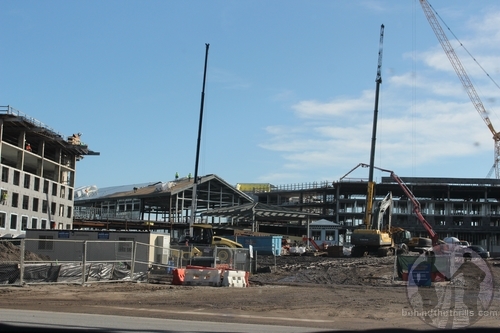 Speaking of the new hotel, Sapphire Falls construction is moving along swiftly, as the park readies for a July opening. The hotel still seems like a ghostly shell in some portions, but is definitely starting to take shape on other sections. 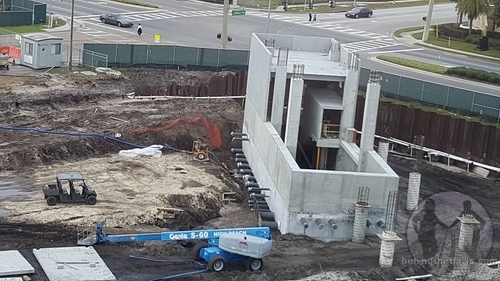 The front lobby and main building is getting walls, and electrical while the some sections of the hotel look to have working lights and windows. 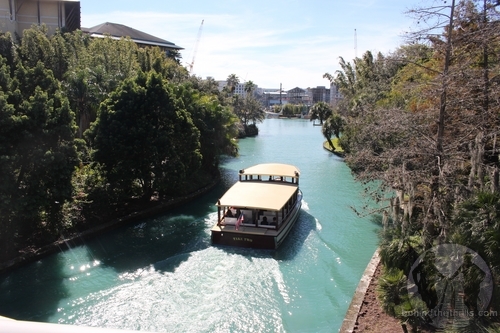 The new hotel will share dock space with Royal Pacific, and will feature not only a walking path, but also water taxis and buses to the parks. 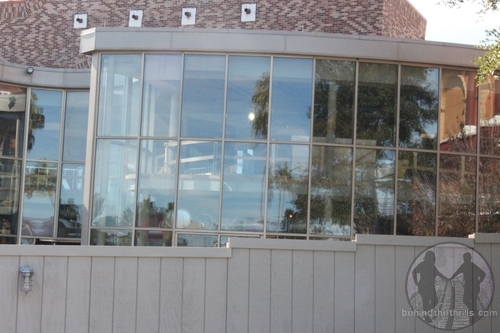 The new hotel is expected to open in mid-July. 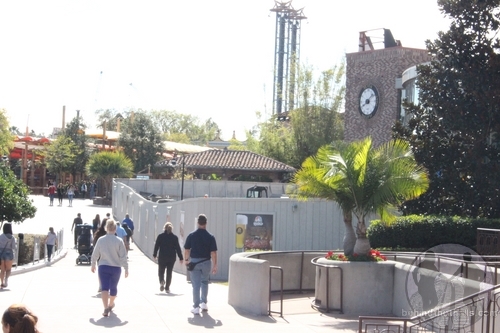 Not much is happening in CityWalk, though the former NBA City is seeing some work visibly being done to it. Crews are working on the outside walkway of the building, as well as the second floor near the front. 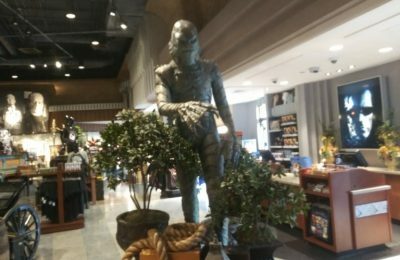 There’s no official word on exactly what is going to happen with the new venue, but the rumors say many different things from a Cheesecake Factory, to a WWE Museum/Restaurant to a Scottish Loch Ness Monster themed restaurant. It’s really anyone’s guess at this point. In Studios, Jimmy Fallon is gutting Twister…well, not literally. The 2017 attraction is taking shape as the old building is being completely and totally restructured. The insides are completely gone, and the inside structure is seems as if it’s being torn completely out. 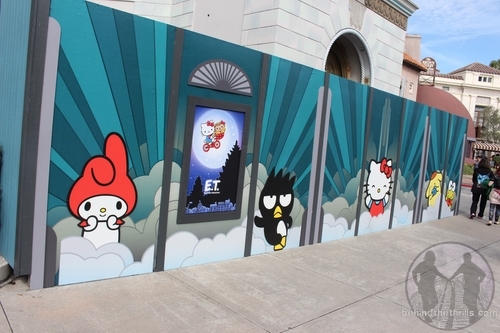 The old Lucy: A Tribute building is being revamped to Hello Kitty, and work is starting to take shape on the outside. The new shop is scheduled to be open later this year. 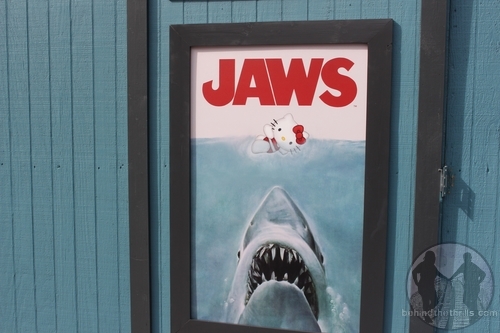 On the outside of the building, Hello Kitty and her friends are all having a little bit of fun with the old Universal movies like JAWS and E.T. Beetlejuice is completely and totally gone. 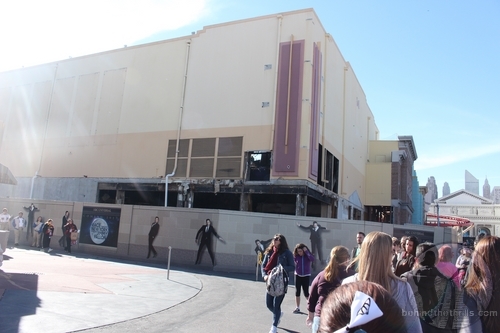 The building is being stripped completely away for the all new Fast and Furious, which also opens in 2017. 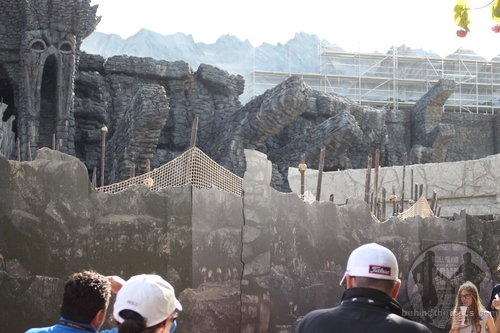 The construction is also taking it’s toll on Disaster, which is also being used for the attraction. 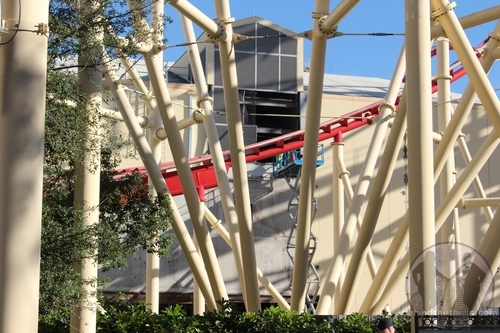 The biggest rumor to come from this construction is that it will effect the way the park does Halloween Horror Nights this year…apparently something big will be returning because of the construction, which should make for some really fun nights…and a lot of walking. More on this later. 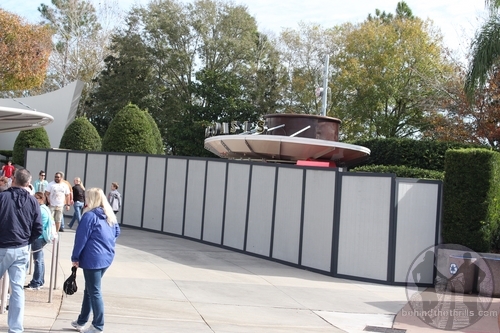 The old Coca Cola cooling station outside of MIB is getting some attention. Hate to Fly from Orlando United speculated over a year ago that this would become something newer and bigger, dealing with Coca Cola, and it looks like it’s finally happening. 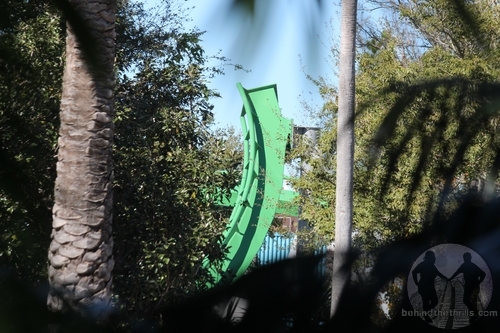 The Incredible Hulk retrack is bringing the old beast back, as the team completely reassembles the coaster. Last year the coaster brought tears as it was torn down, and left in a junkyard. 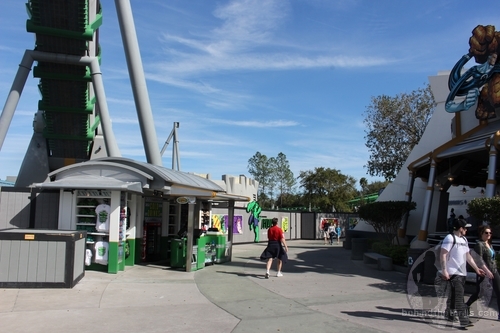 New track, new coaster vehicles, and a new queue will make the new Hulk a must see new experience. The coaster will also get the official B&M Launch system which made it’s debut on Thunderbird at Holiday World last year. 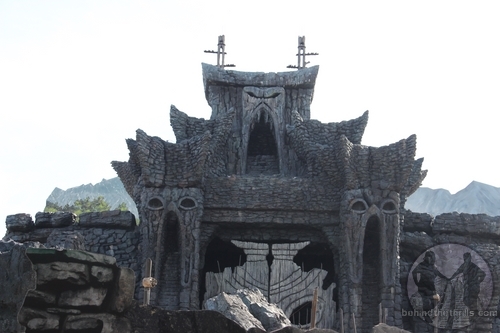 Finally, King Kong is looking fierce, as Skull Island gets closer to opening day. The new attraction will take guests on a roaring rampage through Skull Island as you try to catalog new and exciting creatures. Of course, things go HORRIBLY wrong and you come face to face with Kong, dinosaurs and god knows what else. 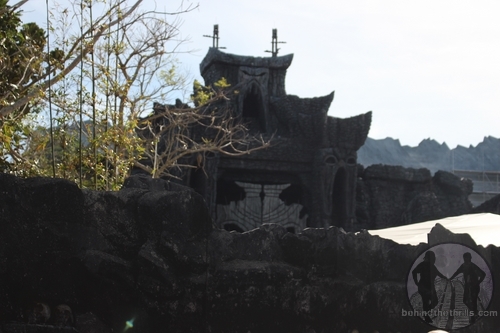 The outside of the building looks amazing as a new skull gate is going up, netting for an outside queue and tons of other neat little features are being added. it makes you wonder how close to being done the inside actually is. 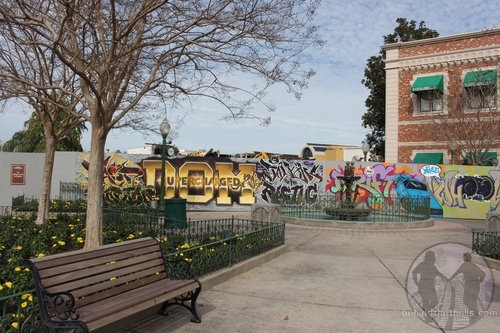 Slideshow-Check out even more pictures from Universal Orlando!